Pretty realistic huh? 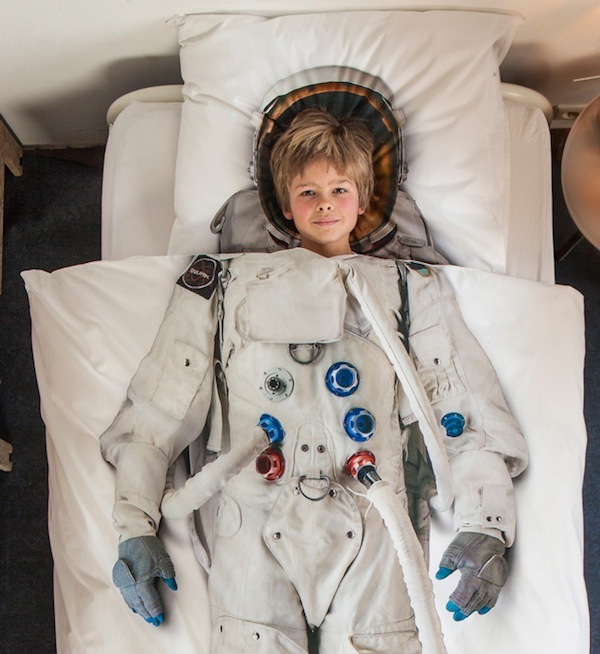 That’s because it’s an actual photo of a real astronaut suit so now little boys and girls everywhere can dream of rocketing into the stratosphere from their very own cosy beds. 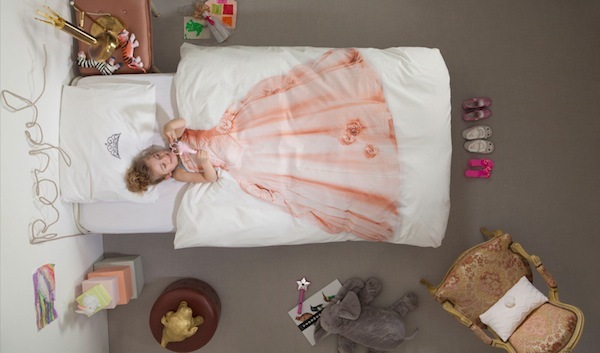 The bedding, by Dutch company Snurk, taps into two classic childhood dreams – to be a princess or an astronaut. While I tend to shy away from clothing and products which are too gender stereotyped, there is absolutely nothing stopping parents from buying the astronaut for their girls and the princess for their boys. It all depends on what your child loves! Snurk bedding sets, available in astronaut and princess styles contain a single bed doona cover and pillowcase for around $80 plus shipping, from Snurk.